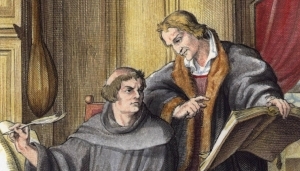 Thus, we are at the end of our brief investigation of Philip Melanchthon; his theology, teaching, writings (especially the Loci Communes), work as a theological ambassador, reformer, and good friend of Martin Luther. 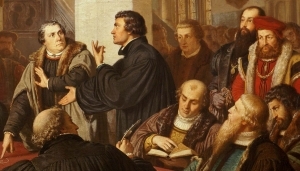 Too, this short series has attempted to show that many, if not all, of the attempts that have been made to reveal or identify tensions or error in Melanchthon’s theology, have arisen primarily from anachronistic presuppositions of inconsistencies with Luther, or problems that have their grounding in modern systematic and dogmatic relevancies. The Reformation was firmly ensconced in the German lands and began to move to other countries. It even reached France. 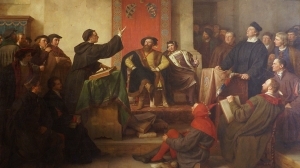 In 1534, Melanchthon was invited to France to defend the Lutheran position to King Francis, who seemed to favor the Reformation. Melanchthon responded that he would do what was within his power for the sake of true religion (CR: 2, 739). Melanchthon expressed a fond willingness to accept the invitation, though John Fredrick, his elector, refused to grant him leave to go. The refusal of permission to travel did not stop Melanchthon from keeping up correspondences with interested parties in France. 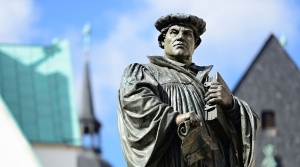 Meeting Melanchthon: Theological Ambassador—Going to England?